Vaughn Life Coaching Blog: Can a Reputation Be Changed? What would your obituary say about you? Wouldn't it be great to get a glimpse of the future and know how you will be remembered? In 1888, one man had that chance. In 1888, this man's brother was visiting France and passed away while there. A french newspaper mistakenly thought the man had died instead of his brother. The obituary was in no way flattering. It referred to him as the "merchant of death" and claimed that he "became rich by finding ways to kill more people faster than ever before". Was this to be his legacy? Could it be changed, or was it too late? This man went on to leave his entire fortune to the advancement of peace, creativity, and science. 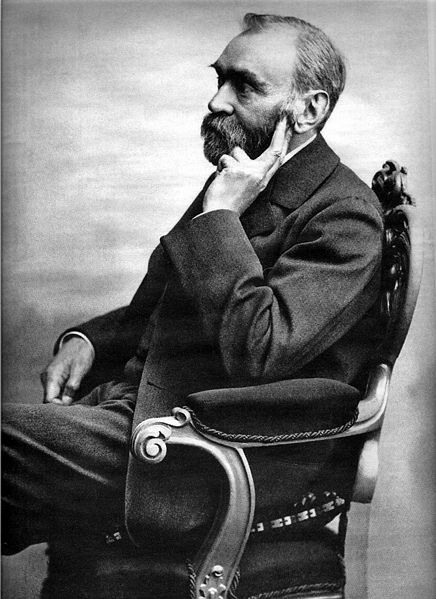 His name was Alfred Nobel and his legacy became the Nobel Prize. (He also happened to be the inventor of dynamite) So the "merchant of death" is now more commonly associated with peace and scientific advancement. The fact that he invented dynamite has been diminished to trivia one might come across on Jeopardy. He changed his reputation and chose what legacy he would leave. We can do the same. Ask yourself how you want to be remembered, and live your life accordingly.